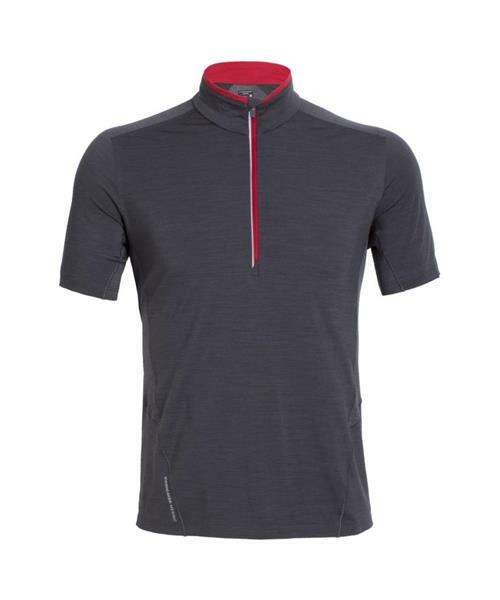 The measure of a great run is how you feel after completing it in the Strike Short Sleeve Half Zip Endorphins? Check. Exhaustion? Maybe. Accomplishment and the desire to do it again tomorrow? Yeah, that's the goal. Stinky and chaffed? Wait a second…Icebreaker feels the same way, and knowing a thing or two about odor prevention, they set out to make the most comfortable, breathable, best fitting shirt ever. They started by mixing their pure merino with TENCEL® to improve breathability and wicking, and Nylon and LYCRA® to maintain a snug, smooth fit. Then they bonded the seams and collar to further reduce bulk, and placed them where you won't feel them. They even made the entire back panel a breathable eyelet, and added a half zip front for instant cooling on the fly. So no matter how hard or far you run, or how much you sweat, your Strike Short Sleeve Crewe won't weigh you down. So maybe they can't guarantee your elation, your exhaustion, or your feeling of accomplishment, but what they can guarantee is, you won't be chaffed, and your shirt won't be stinky. Ready to do it again tomorrow? Icebreakers Strike Short Sleeve Half Zip is.